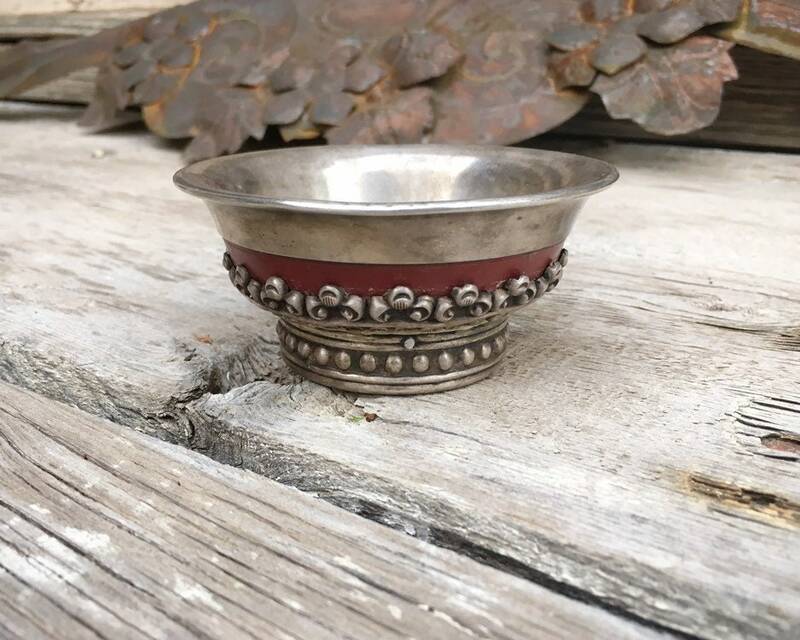 The tea bowl (por-pa) is one of the most common utensils among the peoples of Tibet and elsewhere in the Himalayas. This one is made from turned wood--likely Rhododendron Burlwood--and lined with hammered sheet silver that has a repousse dragon design. 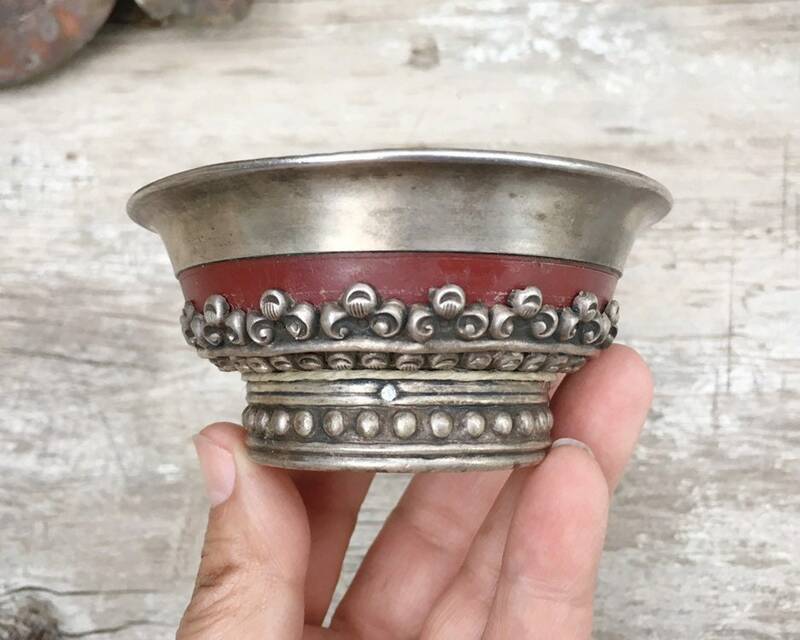 According to a website about these bowls: "Silver leaves no aftertaste in the mouth and is second only to gold on the Himalayan-Buddhist scale of purity-pollution. 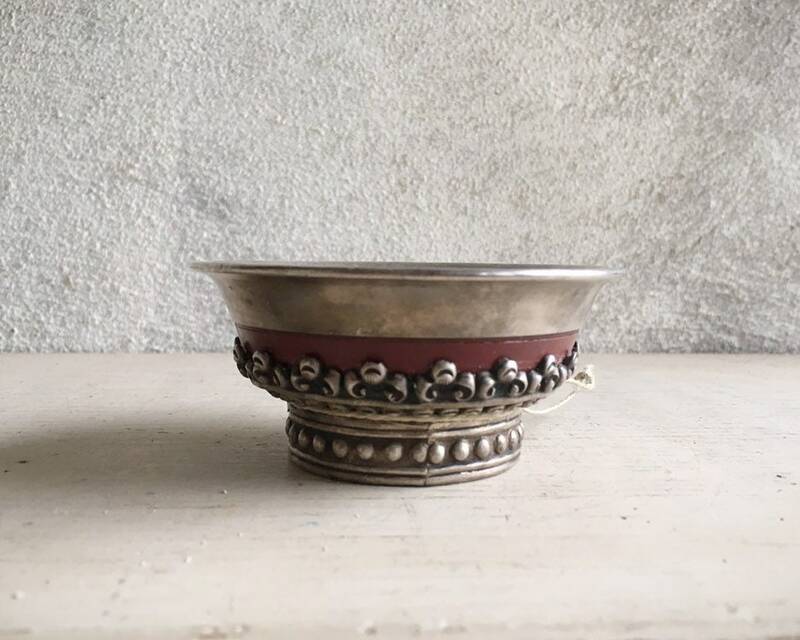 Primarily, such bowls were used to drink brick tea blended with yak butter. The tea was pounded to break up the block, then boiled and blended with rancid butter and salt." 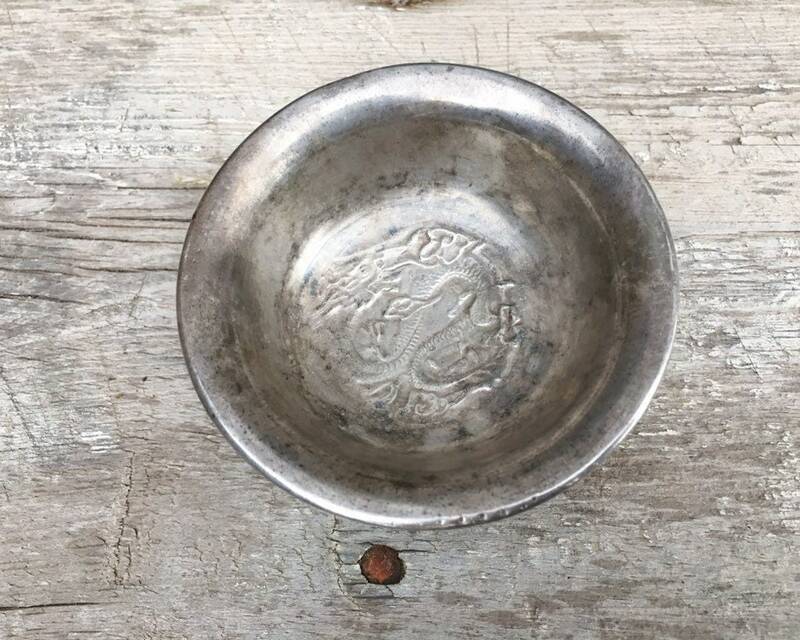 The exterior of the bowl is wrapped around the foot and lower part of bowl with heavy silver frieze work. At the very bottom center is a yin yang mark, and there is a stamp SV (presumably for silver) and another stamp, possibly OO, and along the edge are a couple of scratches, one potentially a signature but they could be marks from use only. The range on these pieces is quite wide--the silver lined ones tend to fall between $200-600. 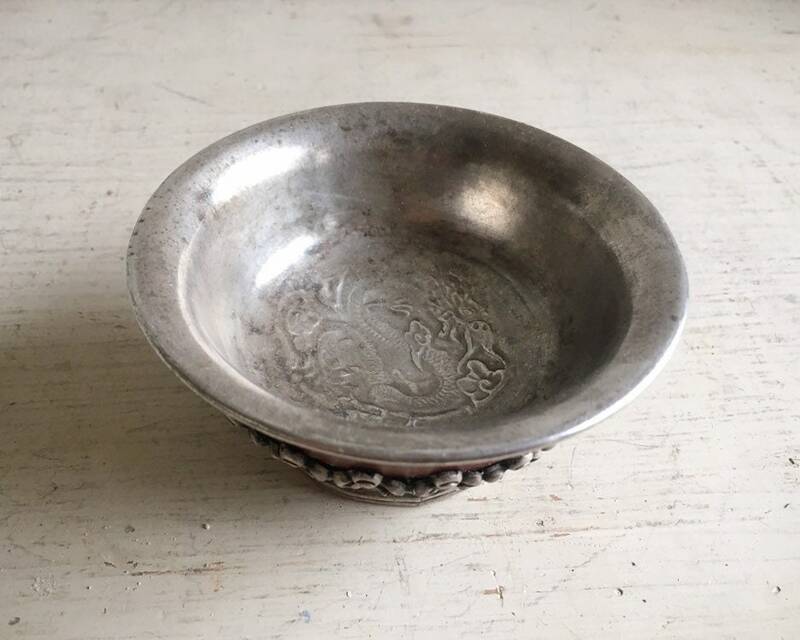 We believe this one is early 20th century although it may be older. 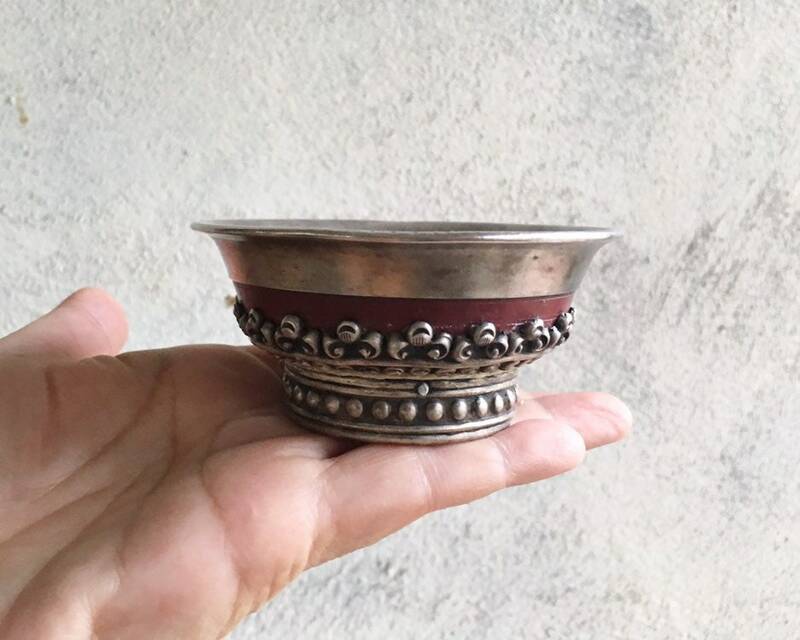 The bowl measures about 3-1/2" in diameter and just over 1-1/2" tall. Weighs about four ounces unpacked. Again, some scratches on the silver, especially around the exterior rim. 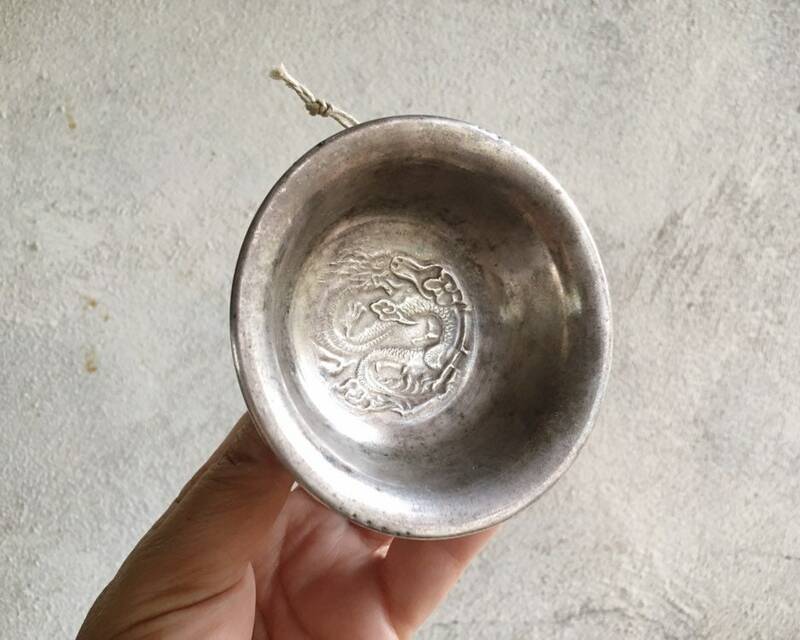 The repousse dragon design inside has some "fading" from use. 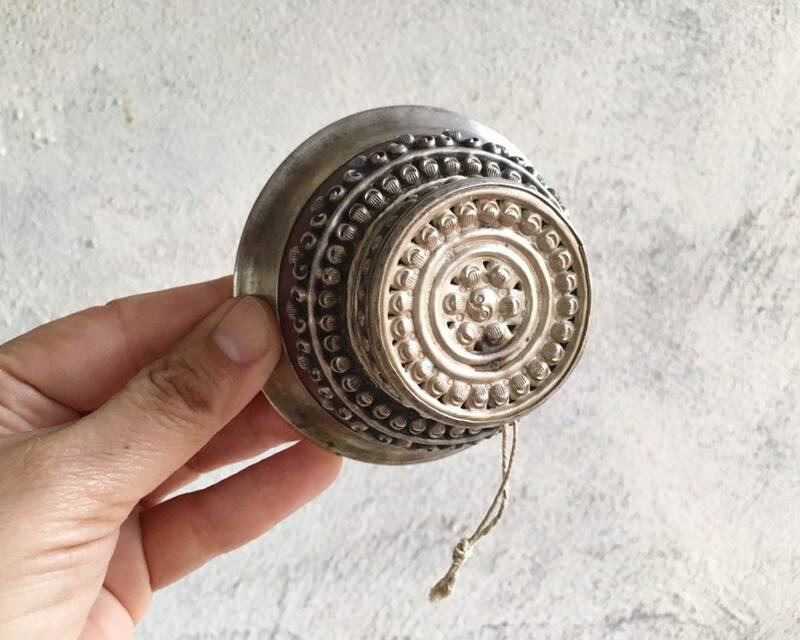 There is patina and tarnish yet overall in good vintage condition.